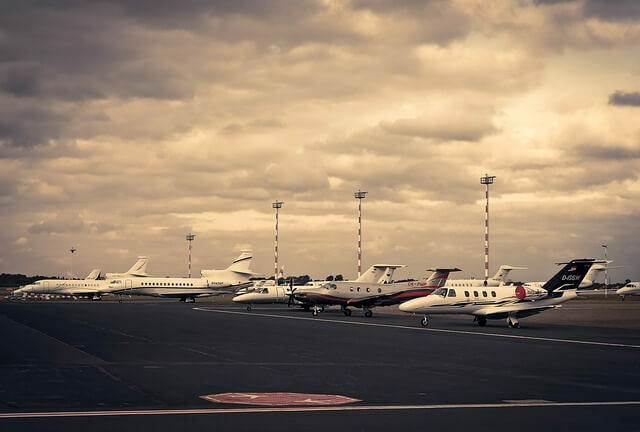 Aircraft Succession Issues | Fafinski Mark & Johnson, P.A. I. Who will use my aircraft after death? If you are a pilot with an aircraft you operate yourself, there may be nobody in your family or circle of friends who will have the interest or ability to fly it when you don’t. Chances are that the aircraft will simply be sold in that situation, yet you are the person who knows the industry and the people you trust. Not only do you want to provide for an efficient means to have the aircraft sold, but you may want to plan for how that would be arranged. If you do have a family member or friend that is a pilot to whom you want to transfer the aircraft to, it may be worth a discussion to plan for how the aircraft might be transferred, both from the perspective of your estate and from the perspective of how the recipient will own and operate it in the future. Business owners who purchase aircraft primarily for use in their business might structure the ownership in a way that allows for predominant business usage within the company. A common example is a company with multiple locations in the upper Midwest that cannot be efficiently reached by car or commercial airlines. Is the ownership held in such a way that your death will disrupt the company’s use of the aircraft? Retired executives might purchase their aircraft to develop new business opportunities in a family office or simply to enable family vacations for them, their spouse, and their children. If you hope to make the aircraft available to your spouse after your death, will sufficient wealth accompany the aircraft to maintain the use of it after you are gone? Succession planning for aircraft involves not only typical estate planning tools but also knowledge of and forethought regarding the challenges involved in the tax and regulatory aspects of aircraft ownership itself. Further, even those typical estate planning tools may also require rethinking. II. How do I go about transferring my aircraft in my estate plan? As with any succession planning, different circumstances call for different approaches. For one, direct transfer of ownership is always an option. An aircraft can be transferred by a bill of sale during your lifetime and planning can be done to assure your continued use of the aircraft. The transfer mechanics of this are quite simple, but there can be tax consequences from such a transfer, including sales tax and depreciation recapture issues. The party transferring also loses control of the asset during her or his lifetime. Circumstances can vary widely, but this may not be ideal for many parties. For aircraft predominantly used for business, another method would be to have the aircraft owned under the business’s ownership structure and have contracts in place to assure the owner’s continued ability for use of the aircraft. The aircraft is then essentially transferred through the business succession planning. This approach can be ideal under the right set of facts, but it can also result in a loss of control over the aircraft during the grantor’s lifetime. For aircraft owned individually or in a special purpose entity owned by the individual, the transfer can be accomplished with typical estate planning techniques, such as a last will and testament or a revocable living trust. The last will and testament directs the transfer through probate and the court system, whereas the revocable living trust avoids probate. Using a trust for an aircraft, however, also raises several unique issues. The transfer to a trust during your lifetime, for instance, does involve a transfer of ownership, resulting in the re-registration of the aircraft at the Federal Aviation Association (FAA) and possibly with state registrations. The transfer may also raise tax questions, if not actual liability. In addition, while a trust may own an aircraft, it is necessary to demonstrate that the trust constitutes a “citizen of the United States” under FAA rules. This generally will not cause a problem for grantors who are themselves US citizens, but the FAA rules will require the filing or submission of the trust documents themselves to the FAA for review. It may be worth considering alternative structures to avoid making your entire estate planning trust a part of the public record at the FAA. Last, but certainly not least, a trust may own an aircraft but not operate the aircraft, absent the trust holding a charter certificate. Ownership in the trust requires a lease, operating agreement, or similar arrangement that permits another party to use an aircraft in accordance with FAA rules. As with any aircraft transactions, it makes sense to plan ahead and structure the ownership and use to accommodate the concerns above, as well as address other issues. Among other things, any shift in ownership may require changes in the hull and liability insurance coverages for the aircraft and various users. Any leasing of the aircraft may also require compliance with FAA Truth-in-Leasing rules. If you are interested in discussing your aircraft ownership and related estate planning issues, FMJ is happy to discuss these issues with you. Contact Kevin Johnson at kevin.johnson@fmjlaw.com or David Ness at david.ness@fmjlaw.com.